Note: In my case, “Reporting Services Add-in for SharePoint Products” feature got failed. Restarted the installation select this feature again and it worked. What else I did is ran Windows updates. 4. Create document library and add SSRS content types. That’s it now you can create SSRS reports in integrated mode. WFE Server – didn’t work on this. [Updates] You just need to install ‘Reporting Service Add-in for SharePoint Products’ on WFE. check SSRS service application in Cetnral Admin and it wasn’t there. You won’t find yet because we need to do add RS-SP on App server. 10. after long search, I was able to fix it by upgrading SQL. 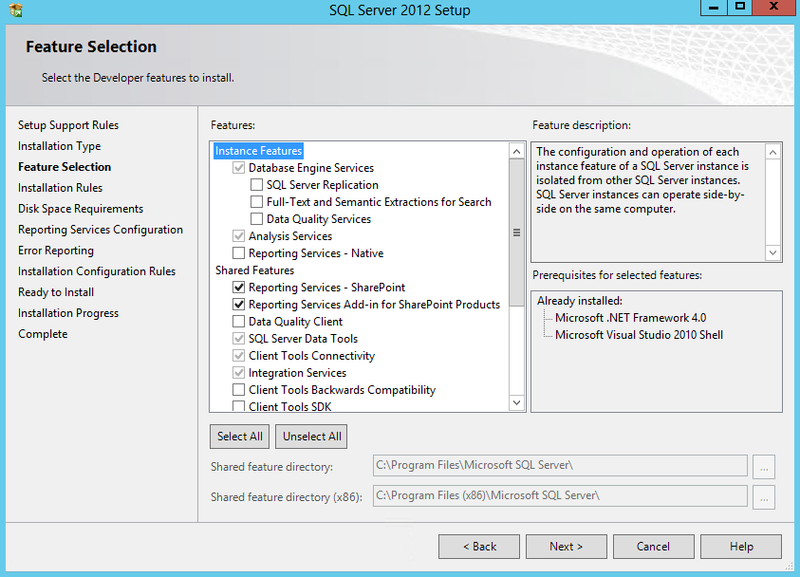 Run the SQL 2012 setup, select Maintenance from left pane and click of Edition Upgrade option. Follow the screens and close setup. Once that was done, I went to “Services on Server” in Central Admin and stopped and start “SQL Server Reporting Services Service”. Note: May be in your case you have to uninstall SQL 2012 and perform the above steps. Thanks to Qiuyun Yu for navigating me to right direction.